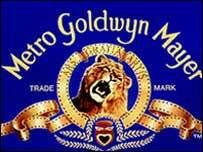 The sale of Hollywood studio Metro-Goldwyn-Mayer to Japan's Sony Corporation has been completed. Sony paid around $2.9bn (£1.5bn) cash for the studio, and also assumed MGM debts of around $1.9bn (£1bn). The deal gives Sony access to MGM's library of over 4,000 films, which they plan to use for video-on-demand services and new cable channels. MGM, best known in recent years for the James Bond films, was the last major independent studio in Hollywood. It was founded in the golden age of Hollywood in 1924 after a merger between Metro Pictures Corporation, Goldwyn Pictures, and Louis B Mayer Productions. Its most famous films include such classics as The Wizard Of Oz and Gone With The Wind. The studio will continue to release films already in production, including the forthcoming remake of The Pink Panther, starring Steve Martin, as well as producing TV shows such as the science fiction hit Stargate SG-1. MGM's future film projects are likely to be co-produced with Sony. US media group Time Warner also bid for the studio but it withdrew its bid in September, saying it could not agree on a price.